It’s Halloween, which means it’s NaNoWriMo Eve! 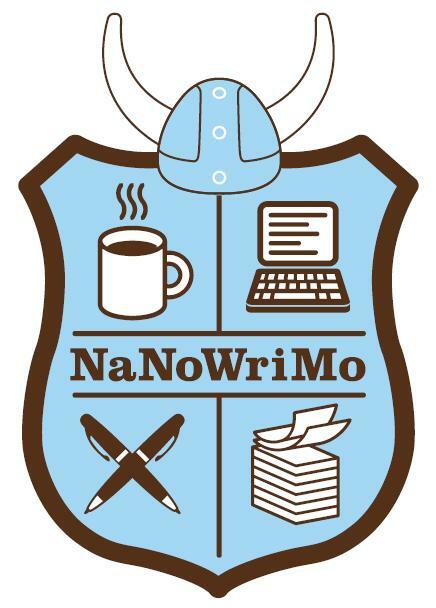 In case you haven’t heard of NaNoWriMo (but I’m guessing you have), it is a one month challenge whereby you ignore your friends and family and instead dedicate yourself to the noble pursuit of writing a novel as fast as your fingers and brain will allow. It’s a fantastic event for beginning and veteran writers alike, and it has inspired quite a few fantastic novels, some of which went on to be bestsellers. This year there’s a program specifically geared toward young writers, and the NaNoWriMo org estimates that overall, 250,000 writers will participate. Is It an Archetype or a Cliche? And and don’t forget about the discussion forums!! Share your trials, tribulations and victories with your fellow writers. Here’s the NaNoWriMo 2012 thread. Thanks for this post! I've never participated in NaNoWriMo, but I think I will this year. I'm finished with book 1 of a series, and need to get started on Book 2. This seems the best way to get that first draft out! Thanks for the links. I've been outlining all month (or sort of outlining all month), and I'm actually a bit nervous for NaNo. This is my first year taking it seriously. A few failures in the past have taught me what I hope are the necessary guidelines to win this year. Good luck to me, and good luck to everyone else participating! This will be my first time. I do not have an outline. I do not know who the characters are. I do know the overall story idea. I'm nervous and excited. We'll see how it goes. Great list, thanks for sharing Nathan. I ran across this yesterday and thought it was a great resource as well. Basically just a nice word count tracker from a fellow NaNoWriMo-er. Beware the stress, though, or you will DrinkMoFoNaNoWriMo. I just signed up (for the first time) … what the hell am I thinking?? Anyhow, good luck everyone! Send chocolate, coffee, beer, and spare hours! I just did the math and was shocked to discover that 50,000 words in 30 days breaks down to a measly 1666.66666… words a day!! That blows my tiny mind. I'd love to know what Lauren (above) learned from her other attempts so that we may avoid her mistakes. I just LOL'ed at the article title "Do you have a plot?" Back in 2010's Nanowrimo, the answer was no. There was no actual plot. Here's to hoping the last two years of studying writing and finishing a different novel will lead to more plot and less meandering. A quarter of a million participants? Is this right? Does this translate to a quarter of a million new novels churned all over the English speaking world? Just thinking about it is dizzy making. Got to sit down. Whether you sit this one out or sit down and write, best to all (November) novelists. This is my first time. It's very exciting. I spent last month getting more organized than I've ever been with a chapter by chapter outline, character bios, and even a setting chart. Today I managed to write over four thousand words. Hopefully I can keep it up. Smashwords is letting people put their WIP from NaNo up on their site so people can read them for free as we write. I'm not sure about letting people read a first draft, but it might work. Hope to participate in NaNoWriMo! thanks a lot for sharing.